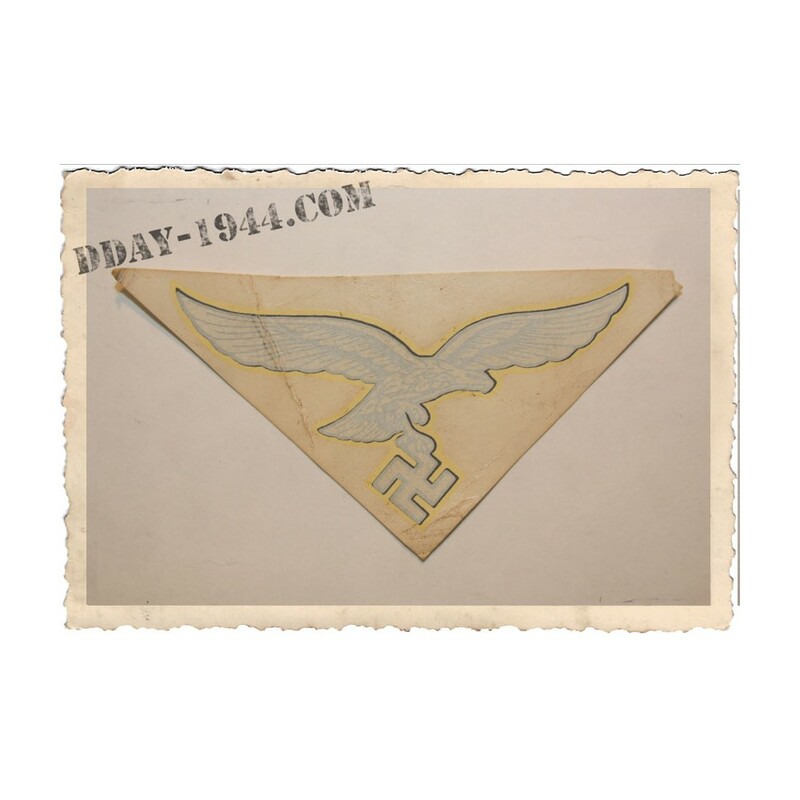 German helmet decal reproduction unused. This WW2 german decal is consistent with an original. As the true decals: types of inks, colors, designs and sizes are fully respected. On yellowed paper, worn, aspect just like an original. !! DECORATIVE ITEM : IMPOSSIBLE TO APPLY ON YOUR HELMET !! Pictures show examples, you will receive a similar decal. 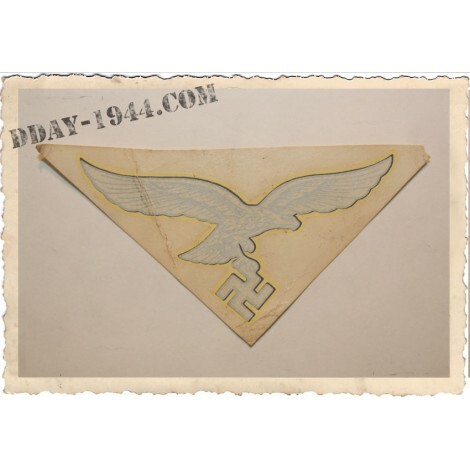 This decal has been aged and weathered by hand to resemble the original german decals, not applied on German helmets. Find an original unused decal is something rare and expensive. For fun or to complete your collection with these decals aspects 'old documents'.